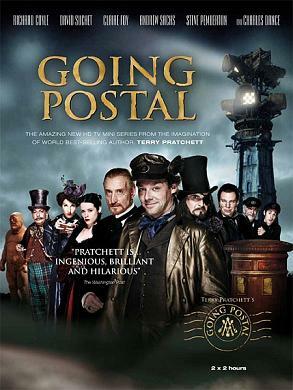 Terry Pratchett’s Going Postal is a fantastic story about the rivalry between the post and the newer method of long distance communication, “the clacks” in a fictional town in a fictional country in a fictional time. This is the Discworld, a series of stories that are not as popular as they ought to be. Playing the impossibly tough Adora Dearheart, Claire Foy is so spikey and likeable, I can’t imagine someone else for the part. 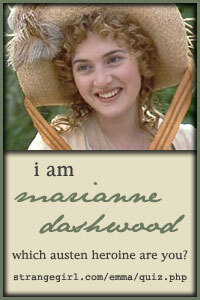 Last time I’ve seen her, she was Little Dorrit, the kindest girl in literature. Richard Coyle is adorable as the repenting con artist smitten by the not so adorable Adora. Other remarkable faces were David Suchet as Reacher Gilt and Charles Dance as lord Vetinari. When I first saw the trailer I thought to myself, how did I not know that Tim Burton is doing a new movie? Well, it was because actually Jon Jones was doing the new movie. The name didn’t sound familiar, so I googled him and apparently he is responsible for the 2007 Northanger Abbey. Now the name will certainly stick with me, I loved that adaptation and I thought it was the best in ITV’s Jane Austen season. So I awaited with a hopeful little heart. I was not dissapointed. I love the choice of earthy, muddy colors, the make-up, the experimenting with camera angles, the strong female personality. All in all, a lovely movie for a rainy afternoon.